The White cliffs of Dover is an amazing place with an amazing Geology. 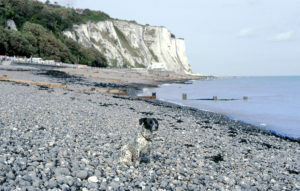 The spectacular appearance of the cliffs is due to the chalk accented by streaks of black flint. Around 70 million Great Britain and much of Europe was submerged by the ocean. In this era, the bottom living creatures got preserved as fossils in the muddy sediments. These sediments had been formed during a very long time. Only about a half of a milimeter adding up in an year . Some areas had over 500 meters of sediment and the weight of these overlying sediments became consolidated into chalk. There is more to Dover than cliffs though. The city of Dover is a major town and is an important ferry port which is found in the home county of Kent. This city is found in the South East England and faces the Strait of Dover. This city is home to the Dover Calais ferry across the Port of Dover. The city has a lot of archaeological prominence and the area has been revealed with many people entering and leaving Britain. The city gets its name from the river which flows across it that is the River Dour. 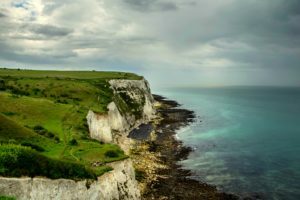 This site is dedicated to the region of Dover with its amazing geology, history and culture.